Humble Book Bundles typically last for a full two-week time span, however, the contents of this particular bundle are so premium that it will run as a limited time one-week offer. Also unique to this bundle is the “pay $5 or more over the average price” tier, which is being utilized in place of the standard fixed price tier. 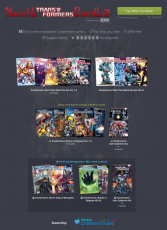 Those who pay more than the average price will also receive volumes 1-6 of TRANSFORMERS: Robots in Disguise as well as TRANSFORMERS: Dark Cybertron Vol. 1. 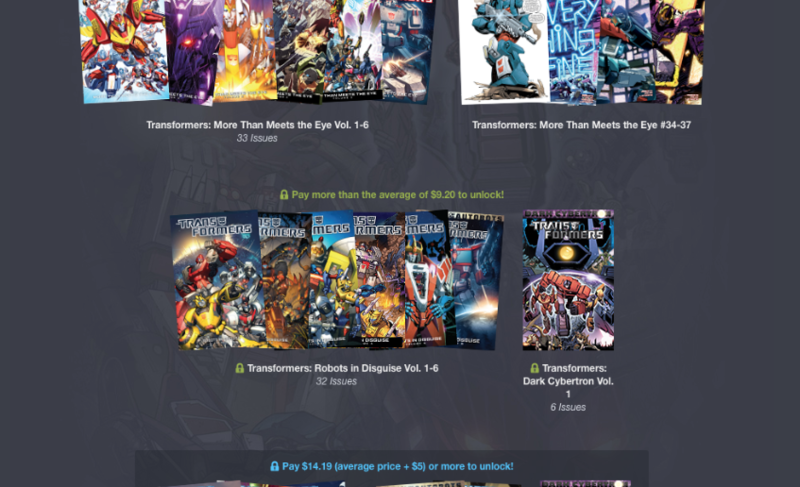 Customers who pay $5 above the average price or more will receive all of the above plus TRANSFORMERS: Robots in Disguise #33-#37 and TRANSFORMERS: Dark Cybertron Vol. 2. As with all Humble Bundles, customers can choose how their purchase dollars are allocated, between the publishers and charity. 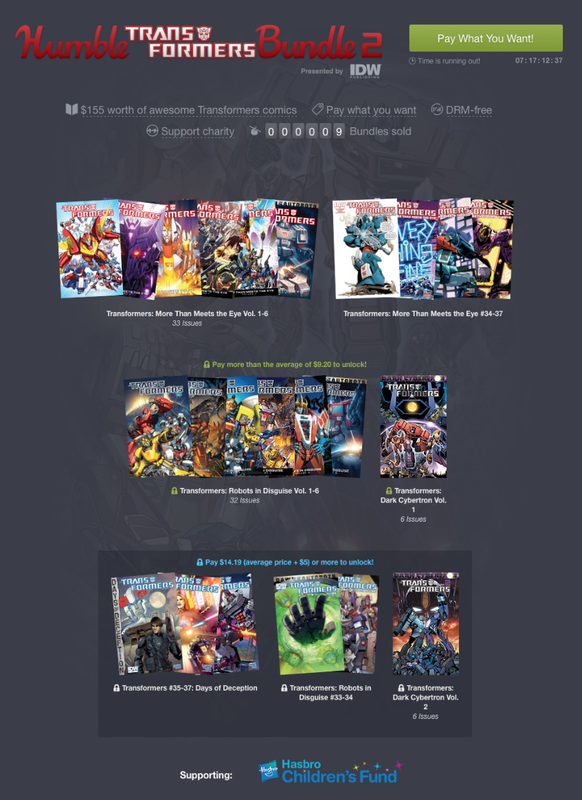 The Humble TRANSFORMERS Bundle 2 Presented by IDW supports the Hasbro Children’s Fund, which is dedicated to empowering childhood by bringing the sparkle of Hope, the joy of Play and the power of Service into the lives of the children who need it most. The Hasbro Children’s Fund, Inc. is a 501(c)(3) nonprofit whose mission is to empower childhood by bringing “the sparkle of Hope, the joy of Play and the power of Service” into the lives of the children across the globe. Working with strategic charitable partners, the grants made through the Hasbro Children’s Fund support programs that deliver; stability for children in crisis; pediatric physical and mental health services; hunger security; educational programs; quality out of school time programming and programs that empower youth through service. To learn more about these programs and how they are making a difference for children worldwide, please visit http://www.hasbro.org. Next Article Lt. Worf, Buddy Christ, Godzilla, Aliens and My Little Pony toys in stores today!